Beautiful Baeza, I loved this glorious little Renaissance town in Jaén. With surprise and delight I wandered the narrow streets and kept discovering sandstone Renaissance monuments. 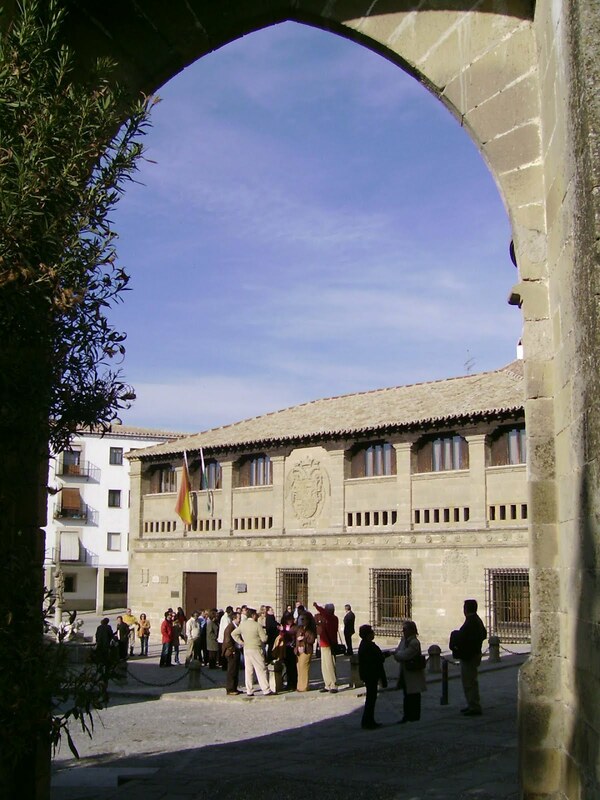 Twinned with Úbeda by UNESCO, Baeza is the smaller and more attractive of the two. Just 48 km north-west of Jaén city and 8km from Úbeda this is a town to take slowly. For me its smaller, cosier feel with narrow twisting cobble streets and typical Andaluz flower-filled corners made it my favourite of the two. Its heyday was in the 16th century when the local nobility spent their wealth from textile production on glorious sandstone and Gothic mansions, churches and cathedrals. The heart and soul of the town is long wide Paseo de la Constitución, a palm-tree lined esplanade between the quiet roads and beautiful buildings. 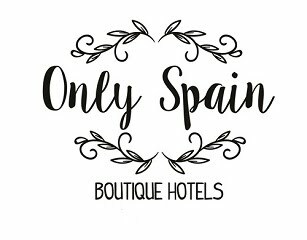 Here or on the Plaza del Pópulo stop a moment and inhale the history, watch the Italian-made tourist train potter along the streets or admire the 1540s built Casa del Pópulo which is now the Oficina de Turismo. The stone carved Fuente de Leones, Fountain of the Lions, was contructed with carvings brought from the village of Cástulo, and topped with a statue that is believed to represent a princess from Cástulo, Imilce, who married Hannibal. The Iglesia de la Santa Cruz, is a lovely little church, said to be the only remaining 13th century Romanesque church still remaining in Andalucia. The huge cathedral has some early Gothic features such as the 13th century Puerta de la Luna, Moon doorway, but is main frontage is in the 16th century Renaissance-style, a design of the architect Andres de Vandelvira who also designed some of Ubeda’s works and Jaen´s cathedral. The Antigua Universidad, the old university is today a high school, which is open to visitors Mon- Fri mornings. Bus connections from the local towns of Cazorla, Jaen and Úbeda are frequent and less frequently, but still daily buses run to Cordoba, Seville and Madrid. 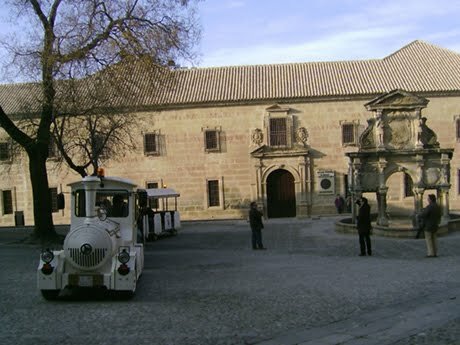 The nearest train station is Linares-Baeza about 16km away but there are good bus links for most trains.